Got a few queries? You may find the answers you're looking for below! If I find a suitable property, do I have to fill in any forms? Yes, we have a tenancy application form which all tenants must fill out. What do I have to pay to reserve student accommodation? 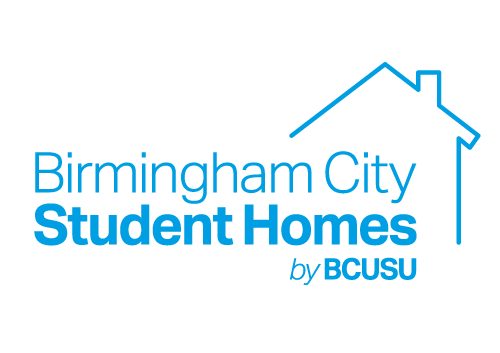 Birmingham City Student Homes is a letting agency who do not charge administration or agency fees. You will however have to pay the dilapidation's deposit (bond) to reserve a property. This is refundable at the end of your tenancy providing there are no dilapidation's. What happens if I wish to move out? You are still bound by the obligations of the tenancy agreement, including the payment of rent. However it is normal for tenants who wish to leave part way through a tenancy to find a suitable replacement tenant to take over their tenancy. What does ‘joint and several’ liability mean? Where there is more than one tenant signing an agreement, all tenants are ‘jointly and severally’ liable. This means that each tenant can be held responsible for the agreement and paying of rent and not just a share of it. Be sure about the people that you agree to share with as if they fail to pay the rent, you or your guarantor can also be held liable. It will either be the landlord or Birmingham City Student Homes. If it is the landlord then you will need to contact him directly if there are any repairs required. If it is Birmingham City Student Homes, then once you have contacted us, we will advise the landlord and arrange the necessary maintenance to take place. We will advise you of the arrangements when you move in. Normally most bills will be the responsibility of the tenant unless stated otherwise. There will be no Council Tax charge where full time students ONLY occupy a house. There are specific rules governing who is classed as a full-time student and tenants are advised to check this before choosing who to live with. There are companies who specialise in utility bill payments for student accommodation and student lettings in Birmingham such as Glide Utilities and Split-the-Bill. Yes. Simply send us an email requesting termly payments together with evidence of your payment schedule from Student Finance England such as a screen shot. Once you have done this our Accounts Department will confirm the arrangements. No, full time students living in Birmingham are exempt from paying council tax. BCU’s Academic Registry send the council a list of its full time students at the beginning of each year. So you should automatically be exempt from paying council tax. However if you do receive a demand for council tax you will need to complete a council tax exemption form which can be done online. You will need your exemption certificate from your faculty. Failure to complete this form will result in the council invoicing you for full council tax payment. No, tenants must take out insurance for their own belongings. However there are insurance companies who specialise in student lettings in Birmingham such as Endsleigh Insurance. What is a guarantor and why is it necessary? A guarantor is someone over the age of 18 and in full time employment and is a permanent UK resident who will pay your rent in the event of you being unable to do so. It is necessary because students, generally speaking, are of an age where they are less likely to have an established credit history. What are my options if I am unable to provide a UK guarantor? You can either pay the whole of the term’s rent in advance (for the whole year), or you can apply to Housing Hand who will act as your guarantor. What happen if I sign up for a property with some friends, but decide not to move? Once you sign the tenancy agreement, you are legally committed to the term of the agreement. So it is vital that you are absolutely sure that you want to move into the property. If you do decide not to move in, then you would need to find a suitable replacement tenant to take your place. Keep us informed of all developments. I’m struggling to pay my rent. What should I do? www.police.uk will give crime statistics for individual postcodes which allow you to obtain comparisons for various areas. If I am travelling home late at night, how late does public transport run until? Please refer to our ‘useful information’ for contact details for buses, trains and taxis. I have a spare room. How do I find a new housemate? Refer to the Students’ Union’s Advice Page where you’ll find useful websites and services to help you find a housemate. I am looking for a spare room in an existing student house to rent. Where can I look? Refer to the Students’ Union’s Advice Pagewhere you’ll find useful websites and services to help you find a spare room. What happens if I drop out of University? Because you have signed a binding agreement with your tenancy agreement, you are still obligated to the terms of the agreement and are still liable for the rent payment. The most practical way forward is for you to find a suitable replacement tenant. There are a number of ways to do this including the Students’ Union’s Roommate Finder service. Please note that you need to keep your rent payments up to date until a suitable replacement tenant is found. Click here for a step by step guide on how to make a complaint. Is there a general Property Handbook available? Yes, there is. Click here for a copy of it.